In this post we will see how to configure “new mobility” feature on a legacy controller to communicate with a NGWC (like 5760/3850/3650). 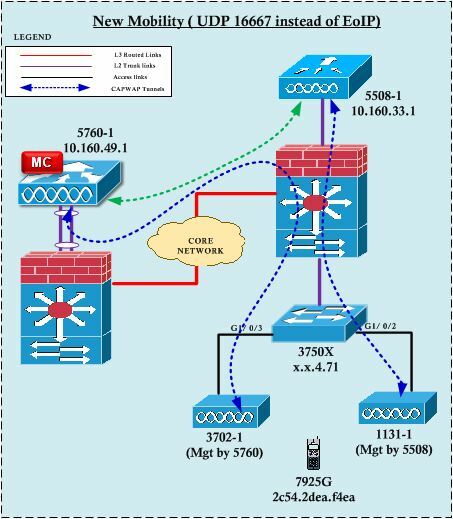 As shown in the below topology there are two WLCs (5760 & 5508) used in my test setup. If you are familiar with the mobility between legacy controllers they use UDP port 16666 for Mobility Control messages & EoIP for Mobility Data Messages between controllers. 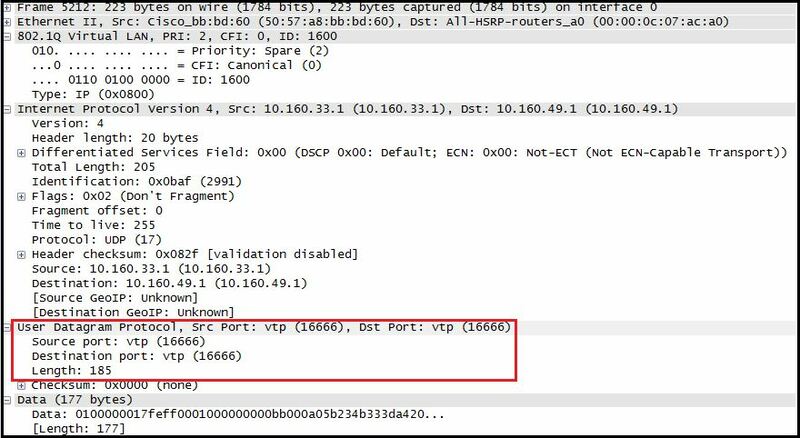 Here is two packet captures between two 5508 within a mobility group. If you want to add a Next Gen Wireless Controller (eg 5760/3850/3650) into existing CUWN environment, you have to enable a feature called “New Mobility” on your legacy controllers (5508,2504, WiSM2) if you want client to roam between these controllers. This feature will simply change EoIP mobility tunnel to UDP 16667 mobility tunnel for inter-controller data plane traffic. Since a single controller cannot have both EoIP & UDP16667 tunnels you have to choose one method. 2. Hierarchical Mobility or New Mobility (UDP 16667 for Inter controller Data plane traffic ) : You could have NGWC & Legacy controllers in same mobility domain & roaming working between those controllers. Now let’s change the mobility architecture to First of all you need to enable this new mobility feature on 5508.
dscp           Configures the Mobility inter controller DSCP value. group          Configures the Mobility group parameters. new-architecture Configure the controller to switch between old and new mobility architecture. statistics     Resets the mobility statistics. (5508-1) >config mobility new-architecture ? enable         Configure the controller to switch to new mobility architecture. disable        Configure the controller to switch to old mobility architecture. Enabling new-mobility would change mobility architecture from old to new(Converged Access) !!! Configuration changes will be saved and System will be rebooted. !!! Once it rebooted you can verify the “New Mobility” Feature is enabled on 5508. Now you can add 5760 as mobility member of 5508. (5508-1) >config mobility group member add 10.160.49.1 ? mac-address    It is recommended to add mac for old-new compatibility, however Optional member switch MAC address. (5508-1) >config mobility group member add 10.160.49.1 group-name ? (5508-1) >config mobility group member add 10.160.49.1 group-name BUN-1 ? Now if you look at a packet capture of 5508 connected switch port you would see something like below. Still inter-controller mobility CONTROL packet use UDP 16666 where as inter-controller mobility DATA packet using UDP 16667. As you can see below, now 5508 using UDP 16667 instead of EoIP. 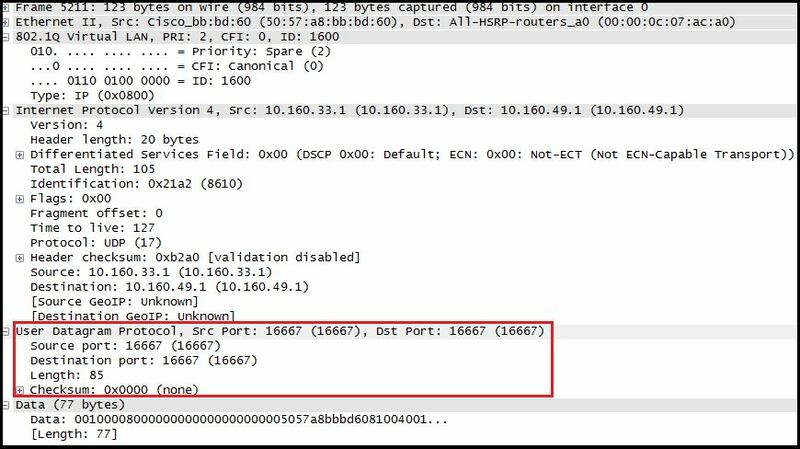 If you configure Mobility oracle (MO) feature, then that use UDP 16668 port for its mobility communication.In a future post we will see how a client roam work between these two controller setup. Here is the reference white paper I found very useful in this converged access deployments. Converged Access- Wired/Wireless System Architecture, Design & Operation. 1. What is “New Mobility” ? are the two WLCs in your example providing separate AP licenses to their atached APs, or do all the AP licenses have to reside on the 5760 MC ? Yes, AP license on these two model (5508 vs 5760) is different. If AP register to 5508 then you have to have license on 5508. If AP register to MA/MC-5760 then 5760 should hold license. Quick question, I understand a 5508 can run new mobility, but I cannot figure out how to add the MA to the controller. I know the 5760 is the new platform, but can the 5508 run as an MC to a MA on New mobility withough the 5760??? Trying to implement Converged access at a client’s that only has 5508s. I would not suggest move in that path. MC functionality on AireOS controller will no longer supported in 8.1.x or 8.2.x, so customer will face problem in future. I would suggest use a 3850 stack as MC rather than 5508. Hi Tank you for this good information ! I have cisco 4402 wireless controller and 5760 wireless controller. If i upgrade cisco 4402 to version 7.0.252.0 can i configure it for mobility group with cisco 5760. No, “new mobility” will not support on 7.0.x codes. Since Cisco also not going to invest integration between AireOS and IOS-XE based controllers, best is not to mix these two platform types in your network.